Rechtsanwaeltin Germany Member of the Bar Association in Berlin, Germany and Solicitor (England and Wales) non-practicing. Henriette Wollmann is a seasoned entertainment and media law attorney with over 15 years experience specializing in film financing, contract negotiation, copyright & trademark, licensing, and production. 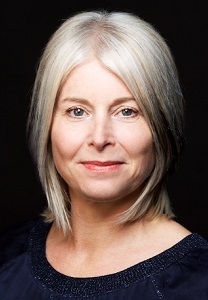 Henriette has represented numerous organizations ranging from producers, directors, and writers to independent production companies, distributors, and international sales firms, including Trickompany Filmproduktion, IGEL Media AG, ottfilm, and Celsius Entertainment. Henriette practices law in Germany. Henriette is co-founder and board member of Women in Film and Television Germany, www.wiftg.org, Women in Film and Television Europe, www.wift-europe.com, and Mediation in the Media, Music & in the Arts, www.mimma.de.